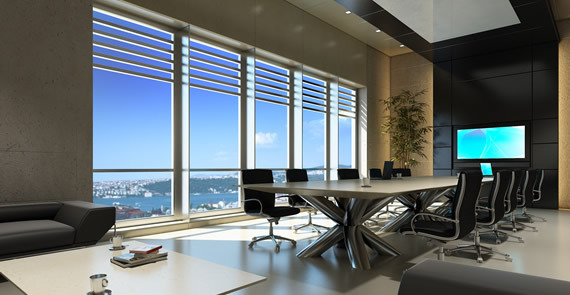 Daylighting, i.e the provision of natural light within a building, is one of the most important aspects to get right during the design stage for architects, designers and M & E Engineers. At J.V Tierney & Co, we are fully aware of its importance to sustainable architecture now and in the future. Modern building designers are increasingly moving towards the use of natural light, as it not only results in reduced energy consumption to maintain a comfortable internal atmosphere, but also reduces our dependence on traditional non-renewable forms of energy. So important is it, that designers often start their designs with daylighting at the forefront of their minds and then create the rest of the architecture around it. Once the base design has been formed, then the next phase is to choose the right materials to complement and enhance light usage. Each material plays with natural light in a different way and a good designer can control how light enters and illuminates specific spaces within the property. Heightened awareness in the wider public of the benefits of sustainable design means that clients are now much more willing to accept exciting new ways of improving energy efficiency. Architects, mechanical and electrical Engineers are able to utilise spaces that connect across all floors and complement each other throughout the whole house, rather than on a room by room basis. Recent technological improvements in thin framed glazing systems that have high thermally efficient characteristics are giving building designers more and more tools to use to achieve their ultimate goals of zero-net energy building status. There will come a time in the not too distant future where sustainable design concepts are the standard across the entire construction industry. It really is a case of ‘when’ and not ‘if’, such is the drive across Ireland and the rest of Europe for a cleaner and more environmentally sound construction sector. If you would like to know more about Sustainable Design and what it could do for your next building project, take a look at our website www.jvtierney.ie , where you’ll everything you need to know and a number of examples of our past work. Alternatively, if you’d like a chat with one our expert team, call us now on 01 421 4900.